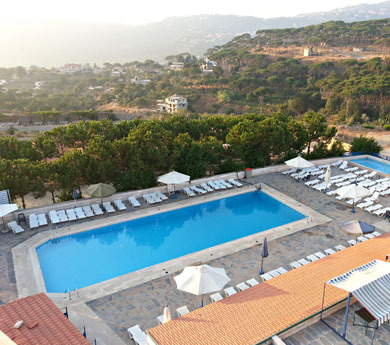 REV outdoor Splash swimming pool, operated and maintained since 2003, is the very exclusive outdoor swimming pool of Mount Lebanon's area. Qualified lifeguards are on duty during opening hours, maintenance permanently assured. - A Restaurant: Serving food, snacks, sweets, ice cream, etc.